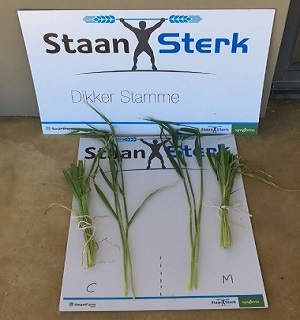 The Department of Agriculture, Forestry and Fisheries (DAFF) recently registered Syngenta’s MODDUS plant growth regulator for use on barley. Previously, the product could only be used on sugarcane. MODDUS is a plant growth regulator with three significant modes of action: reduced lodging, higher root density for better stability and nutrient uptake, as well as physiological modification leading to more tillering. Lodging is one of the main headaches of barley production in irrigation production in South Africa. MODDUS was developed with the main aim of preventing lodging, regardless of weather conditions. The product achieves this through its active ingredient that modifies the plant’s growth regulation to produce stems that have shorter internodes. With the reduction in length of internodes at the base of the tiller, the stalks become stronger. Although the reduction in overall plant height is usually negligible, the shorter, stronger internodes reduce bending in strong wind and rain. The active ingredient in MODDUS also encourages denser roots that penetrate deeper into the soil, thereby anchoring the plant more securely. Enhanced root development also accounts for the role MODDUS plays in helping barley plants to make better use of water and nutrients. Plants treated with MODDUS are particularly effective consumers of phosphate, nitrogen and potassium, meaning that growers get more bang for their fertiliser buck. “At a time when climate change is wreaking havoc with weather patterns, there is tremendous value in crops that can be equipped to make the most of the resources at their disposal,” says Giesel. 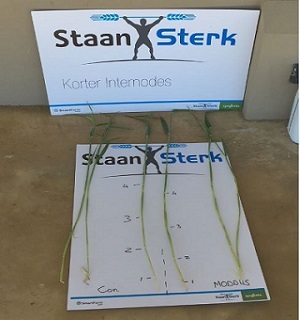 Syngenta launched MODDUS with the Staan Sterk Incentive held at the premises of the South African Breweries Barley Institute (SABBI) on the 11th September. 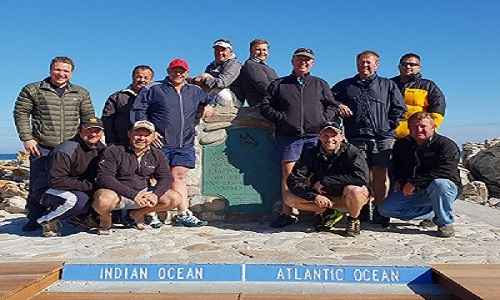 Key customers from the Irrigation scheme in the Northern Cape attended the function to hear and see Moddus in Action. Below are some pictures of the Event held recently. MODDUS’ registration on barley came just in time for the 2018 season,” says Giesel. We are excited to see how it will improve barley production for our barley producers for the seasons ahead. Read the label for full product details.